The Tactical Aviation branch (FA-Frontovaya aviatsiya) has always occupied an important place in the structure of the Soviet, and subsequently Russian, Air Force. In the 20-odd post-Soviet years the Russian Air Force has been repeatedly reformed and in the course of the reforms the importance of Tactical Aviation has risen. The brief military conflict with Georgia in August 2008 highlighted poor organization of operations and in 2009 the customary air armies, air divisions and air regiments were replaced by aviation bases. Much importance has attached to fleet renewal and upgrading of the Russian Tactical Aviation capability. The Su-35S 'Generation 4++' single-seat fighter is entering full-scale production and service. Deliveries of single-seat Su-27SM3 (a mid-life update) and two-seat Su-30SM and Su-30M2 multi-role fighters are also underway. The Beriyev A-50 AWACS aircraft, which supports the Tactical Aviation's air defense role, are also being updated. Production and deliveries of the Su-34 tactical bomber are continuing and for want of a next-generation attack aircraft, the Russian Air Force is continuing to upgrade its Su-25 fleet--the latest Su-25SM3 is now in service. Much attention has been paid to combat training. Exercises are being held more frequently than in the 1990s and in-flight refuelling of various aircraft, including tactical bombers, is practiced on a much wider scale than before, as are long-range flights by groups of fighters. The book, companion to the highly successful Soviet Tactical Aviation, illustrates the current state of the Russian Air Force's tactical aviation as well as its recent history in various overseas conflicts. Details are given of the aviation bases (units), their locations and the principal types currently in service. 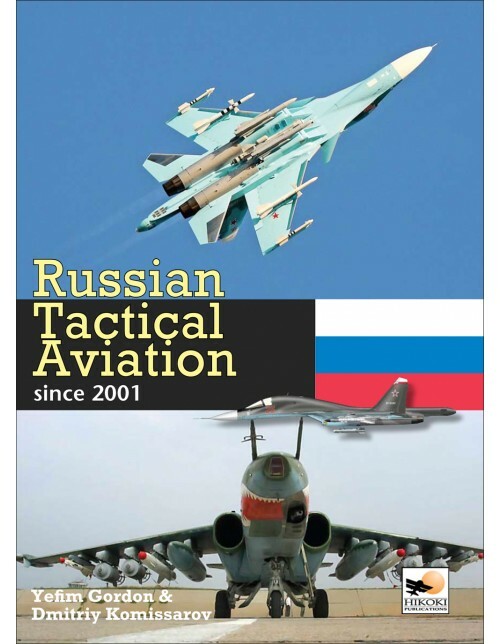 Russian Tactical Aviation is illustrated throughout with many previously unpublished photos, including air-to-air shots during recent Russian Force exercises, as well as color profiles of Russian tactical aircraft and helicopters operated by various aviation bases. 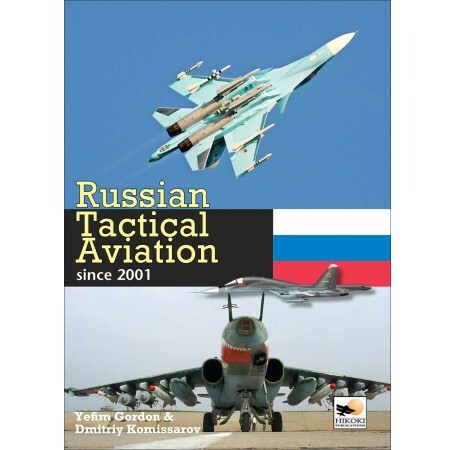 "If you're looking for a comprehensive reference of contemporary Russian tactical aviation, this is the title for which you've been waiting. This is an excellent sequel to Soviet Tactical Aviation (if you can find a copy) and dovetails nicely with the other service and aircraft-specific titles published by these prolific authors. Buy yourself a copy today (I did)!" "If you have any interest in modern Russian tactical airplanes and helicopters you will want this book!! I strongly recommend this book to all!"